The Chapel is located on the 2nd floor of the Student Services building and is available from 11:20-11:45 am, daily for personal prayer by our students, faculty, and staff. 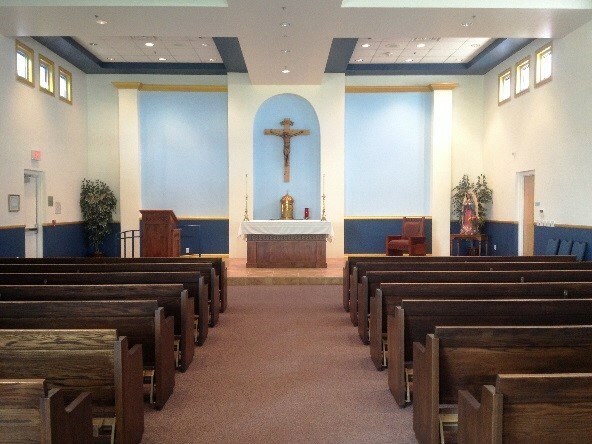 Our Chapel seats 120. 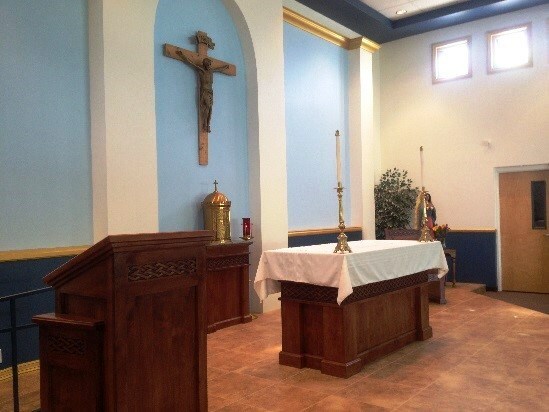 Pews, new altar furniture, paint, a sanctuary step, a new tabernacle, a permanent confessional and holy water fonts have been recently added. A relic of St. Elizabeth Ann Seton is housed under our permanent altar. Creation of mosaic Stations of the Cross have been commissioned with a local artist and are in progress.